DETROIT -- For roughly two and a half years, Chrysler LLC co-President Tom LaSorda has been peddling his company. He met with other automakers in search of a partner or a buyer for Chrysler -- in whole or part. Today, Chrysler wants a Bankruptcy Court judges approval to turn the American automaker over to Italys Fiat S.p.A. In evidence presented to the court, LaSorda and other senior Chrysler executives admit that other partners would have produced greater potential savings. But Fiat alone was willing to see talks with Chrysler through. Heres the tale of Chryslers road to Fiat, as laid out in court documents. In the autumn of 2006, LaSorda and his bosses at what was then DaimlerChrysler agreed that he should start exploring possible partnerships. They turned first to Nissan-Renault. Talks began in the spring of 2007. But after Cerberus Capital Management LPs purchase of Chrysler, those talks narrowed to a product-swapping pact: Nissan would provide a version of its Cube for Chrysler to sell in North America and Europe as the Hornet, and Chrysler would provide a version of its Dodge Ram pickup for Nissan to sell as the Titan in North and South America. With Cerberus blessing, talks broadened again. In early 2008, LaSorda put Scott Garberding, then Chryslers vice president of supplier quality, in charge of a new division called Global Alliance Operations. LaSorda told Garberding to find suitable business partners, and quickly, LaSorda said in a court document. In February 2008, Chrysler and Nissan assembled teams to explore possibilities of an alliance. The talks were dubbed Project Go Global. Both sides formed 10 teams, most with seven to 16 high-level executives and operational-level staffers. They explored how a partnership would work in purchasing, product portfolios, powertrains, manufacturing footprints, advanced and green technologies, sales finance, sales and marketing, logistics, service and parts, and product-swapping deals. They also explored the prospect of Chrysler using Nissans distribution network in South America. In May 2008, the teams reported. A global alliance between Chrysler and Nissan-Renault would generate operational savings on a gross cash basis of more than $11.8 billion in cash flow for Chrysler alone and more than $18 billion for both sides over eight years, LaSorda said in a court document. I was very optimistic that a deal benefiting both companies could be reached, Garberding said in a written statement to the court. On Sept. 10, 2008, LaSorda, Garberding and other top executives from Chrysler and Cerberus met with Carlos Tavares, Nissans executive vice president in charge of corporate and product planning, and other top Renault-Nissan executives in Paris for a full day of face-to-face talks, to no avail. They tried a few more times, but in late October and November talks again broke down after Nissan, in light of collapsing credit markets, could not commit to providing financial services support for new vehicles and dealer floor planning, LaSorda said. In June 2008, meanwhile, LaSorda had called General Motors John Smith, senior vice-president of product planning and business development, and raised the prospect of a potential alliance. In early August, LaSorda and key lieutenants met with Fritz Henderson, then GMs president, and other GM executives to kick off talks. These talks were alternatively referred to as Project Denali or Project America. Eventually, teams from the two companies reported that a tie-up could save $26.3 billion to $37.8 billion in gross cash flow over six years, with no one-time charges. But the two companies couldnt reach a deal. In November, amid worsening economic conditions, GM suspended talks with Chrysler. In early January 2009, Chrysler CEO Bob Nardelli called GM CEO Rick Wagoner to suggest that they resume talks. Wagoner said GM wasnt interested. Amid these talks with Nissan, GM and Fiat, Chrysler kept making overtures to other automakers. In June 2008, Chrysler floated a proposal for ties with Toyota Motor Corp. Toyota said no in July. Throughout the first quarter of 2008, Chrysler talked to Volkswagen AG. LaSorda met with Stefan Jacoby, CEO of Volkswagen Group of America, in January and with Volkswagen Chairman Martin Winterkorn during the Geneva auto show in March. But VW wasnt interested in anything beyond plans to have Chrysler build a minivan for VW. For three months, Chrysler discussed potential projects with Tata Motors, including the licensing of Jeep and other Chrysler vehicles to the Indian automaker. LaSorda traveled to Geneva between March and May 2008 to meet with Chairman Ratan Tata and then led a team to India to meet with the carmakers CEO. But Tata was consumed with its purchase of Jaguar and Land Rover and its pending launch of the Tata Nano. In the spring of 2008, Chrysler also talked with Hyundai-Kia Automotive Group. The immediate issue was an engine plant in Dundee, Mich., that builds an engine jointly developed by Hyundai, Chrysler and Mitsubishi Motors Corp. The plant was running below capacity because the joint-venture contract barred Chrysler from selling the engines to other automakers, LaSorda said. Chrysler tried to end the joint venture, then offered to sell its interest in the venture to Hyundai. Hyundai rejected the offer in November 2008. In July and August, Chryslers Garberding traveled to Seoul to meet with Kim Seung-tack, Kias global strategy groups senior vice president, about setting up a partnership involving compact and small cars. Chrysler wanted to have Kia build a version of the Kia Rio sedan and hatchback for sale under one of Chryslers brands. In talks from June until the end of September, Garberding got as far as pricing details for a Chrysler version of the Rio. Then Kia cut off the talks, citing problems with manufacturing compatibility. In the first half of 2008, Chrysler also talked to Magna International Inc., Canadas largest supplier, and Russian automaker GAZ. The parties explored setting up a new car company in Russia. Chrysler hoped to license GAZ to make small cars and sell certain Chrysler vehicles through its Russian dealer network. In August 2008, the two sides signed a memorandum of understanding, but the effort fizzled later in the year as the Russian economy followed other global economies downward. Separately, in November 2008, Magna submitted a proposal to Chrysler. Magna wanted to buy Chryslers electric-vehicle unit, certain Chrysler sales companies in Russia, and the intellectual property rights to the Jeep Patriot and Dodge Caliber, which Magna would then build and sell in Russia. Magna also proposed an alliance to distribute Chrysler vehicles in Russia and eastern Europe. The two sides tried to close the deal by the end of 2008, but the weakening Russian economy undercut those plans. In October 2008, LaSorda told his assistants to start talks with Mitsubishi Motors. Chrysler once owned a stake in Mitsubishi, which had been spun off from Mitsubishi Heavy Industries Ltd. as a carmaker with Chrysler technology and assistance. Talks led to an agreement for Chrysler to obtain small cars from Mitsubishi as well as a small electric car derived from Mitsubishis i MiEV but designed by Chrysler. That agreement is on hold, waiting for the resolution of Chryslers bankruptcy. On Dec. 10, 2008, LaSorda also requested a meeting with the president of Honda Motor Co. to explore the possibility that Honda could provide Chrysler with small and mid-sized vehicle platforms and the use of Hondas supplier network. One day later, Honda said no. In February 2009, Chrysler sent letters to companies, mainly in China, that the U.S. automaker thought might be interested in buying some of Chryslers assets. Over the next two months, Beijing Automotive Industry Holding Co., Tempo International Group, Hawtai Automobiles, Chery Automobile Co., and others expressed interest in buying specific vehicles, powertrains, intellectual property rights, distribution channels and automotive brands. Over five days, LaSorda and Joseph Chao, Chryslers vice president for advanced manufacturing, engineering and supply, hosted interested buyers at Chrysler headquarters. Chrysler offered to sell engines and transmissions; the Newark, Del., assembly plants paint shop; and various vehicles, including the Chrysler PT Cruiser, Sebring and 300, Jeep Grand Cherokee and Dodge Commander, Durango and Aspen. But there were no sales. 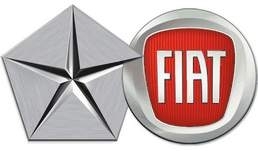 Back in September 2007, Chrysler had opened talks with Fiat. Those talks initially looked at Chryslers building and selling Fiats F500 compact car, a potential joint venture to sell Alfa Romeo vehicles through Chrysler dealers and other vehicle-sharing accords. The undertaking was called Project Capitol. The talks eventually expanded. On Nov. 21, 2008, Project Capitol study teams reported that an alliance with Fiat could save $3.7 billion in cash flow over eight years.